Violet and Daisy escaped from a Milwaukee high school Friday. 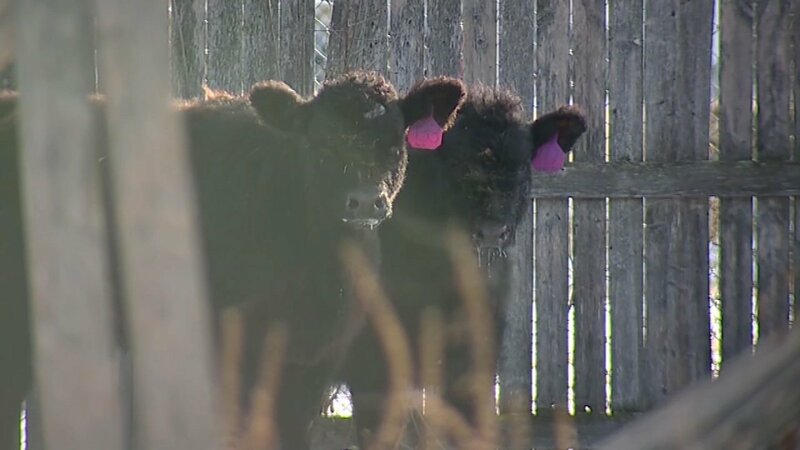 MILWAUKEE (WLS) -- Two cows ran away from school and wound up in the backyard of a Milwaukee, Wisconsin, home on Friday. The two bovines, Violet and Daisy, live at Vincent High School where they're part of the agriculture program. But they must have been bored Friday, because the cows escaped from their barn. When Shanah Bohanon came home, she found police in her driveway. "Seen the police officers in the driveway and asked what was going on. All of a sudden, they said the cows were in my yard," said Shanah Bohanon. The cows on the mooo-ve traveled about two miles with onlookers snapping pictures of the pair. The cows were returned to the school and were not hurt.